KFC has really stepped up their marketing game over the last year with Darrell Hammond taking over as the Colonel. Now they are encouraging a few lucky winners to get their phones out while you are sitting around the table with your loved ones and snap a few photos to capture the memories and then instantly print them out right at the table. 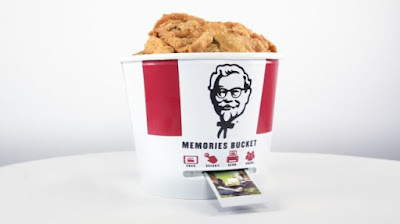 Want to win one of these photo buckets full of chicken and memories? If you are Canadian just keep an eye on KFC on all the social channels.